Resource saving is not just a trend, it’s a necessity. Energy efficiency studies have shown that dome homes can save up to 30% on your heating and cooling costs. Why is it even necessary? 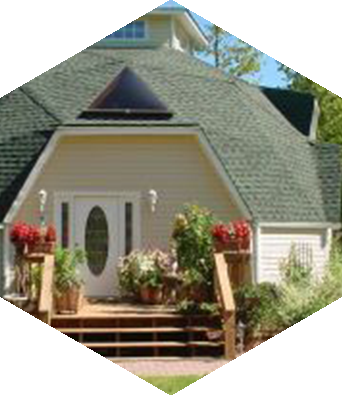 Dome homes can reduce utility costs and help to limit greenhouse gas emissions. They can also help our country raise its standard of living. American architect Richard Buckminster Fuller devoted his life to investigating what one person can do for the good of society and humankind. He started a revolution in engineering by developing a geodesic dome with ideal properties, combining energy efficiency with design and reliability. 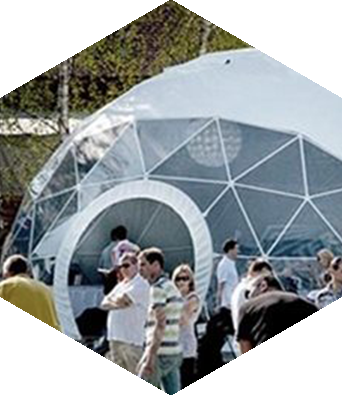 Dome pavilions are used for various purposes, including trade pavilions, exhibition centers, holiday domes, greenhouses, and arbors. The geodesic dome is the foundation for all our constructions. 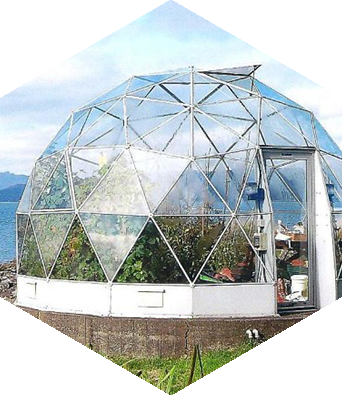 Our dome buildings are based on the well-known wood frame construction technology that allows us to build easily, quickly, and cheaply. Buy a spherical house and step into your advanced and balanced future. Dome4Home designs, builds, and sells dome constructions for different purposes including residential houses, trade pavilions, and exhibition centers. Our team provides a full range of services from blueprints to finished dome constructions. We believe that dome buildings are the architecture of the future. Our main priority is to use the latest technologies and to popularize a new quality of life in the affordable country housing. Our goal is to become the leader in the dome constructions building both in Ukraine and abroad. We manufacture and mount the structure. +38 067 524 72 92 or send a message using our contact form and we will call you back.